Dogs are fluffy, slobbering, pooping creatures that don't hesitate to sniff (and maybe taste) any unknown object they see on the ground. So, if we're trying to protect our health, is it OK that we let them share our home, sleep in our beds, and lick our faces? However, you can get some illnesses from your dog precisely because they harbour germs that they are resistant to, but humans aren't. These zoonotic diseases can be passed from animals to humans, and dogs can potentially have several of those. According to WebMD, you can get rabies, lyme disease, and several different types of worms from your dog. Leptospirosis is also a concern for young children and people with weakened immune systems, which also include pregnant people, people undergoing chemotherapy, and people with HIV. Fortunately, vaccines and regular vet care can reduce your dog's risk of bringing these diseases home. "Having exposure or getting certain types of bacteria into our systems can encourage our systems to work properly," says Dr. Jason Stull, an expert in zoonotic diseases at Ohio State University. However, it's not as though you should maximise your exposure to bacteria at all times. "I think that the hard part is that not all bacteria, not all viruses, not all organisms are safe for people," Stull continued. "So it's important to choose what types of access and exposure to bacteria [people] have." Stull, who authored a paper on reducing the risk of pet-associated zoonotic infections, has two dogs. He doesn't encourage his dogs to lick his face, and he washes his hands after cleaning up their droppings. When his children were under five, he made sure to keep the dogs' faces away from his kids' faces, so that they couldn't spread germs too intimately by licking their mouths. Preventing canine-sourced sickness starts at the adoption center. Pick a dog that you get along with and can handle. Take them to the vet regularly and make sure that they're up-to-date on their vaccinations. (Here's a list from the American Veterinary Medical Association of 12 diseases that vaccinations and de-worming can prevent.) Train your dog to be polite and not to bite. Learn to interact with a dog safely, so they won't feel like biting you. If a dog bites you and draws blood, that can be a different story, and clean hands won't save you. In that case, go to the hospital and consult an expert. Find out the dog's rabies vaccination status, since rabies can be transmitted through bites and is nearly always fatal if left untreated. 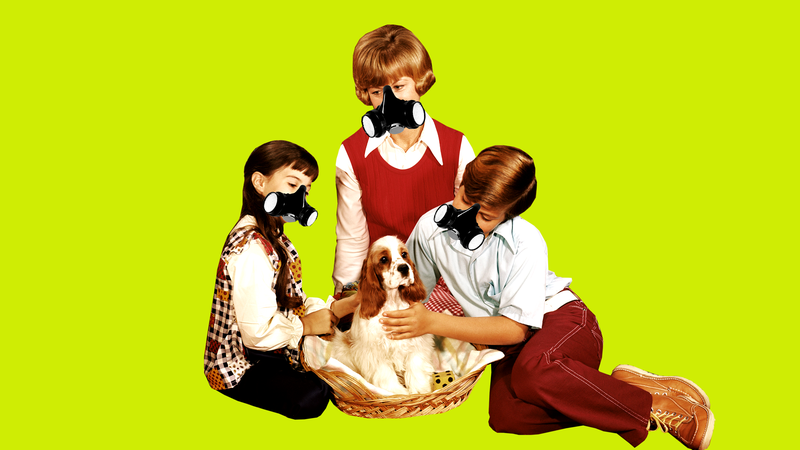 So, you don't have to worry too much about dog germs. For many of us, the benefits of dog ownership outweigh the risks. "For the average healthy person, pets pose a very limited health risk and have many, many health benefits," Stull said. "There's the improved mental health, the lowered blood pressure. But for these key groups, for kids under five, women who are pregnant, people over 65, and the immunocompromised, they need to take the extra precautions."